Luxury Home in Premier Islamorada Neighborhood. 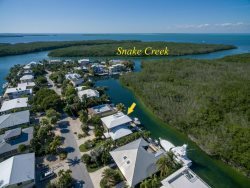 Unique Islamorada Waterfront Home in Desirable Venetian Shores! This home features a beautiful gourmet chefs kitchen, soaring ceilings, master suite with private balcony & lovely water views This home has 3 spacious bedrooms with a family room/den, offering room for everyone. Overlooking the surround mangroves, the home has lots of privacy with secluded view of sanctuary! Located in one of the most desirable Upper Keys communities, this home is close to everything the Upper Keys has to offer, including many excellent dining and shopping venues.